Concertgebouw Kamerorkest (Concertgebouw Chamber Orchestra) performs Wolfgang Amadeus Mozart’s Symphony No. 29 in A major, K. 201/186a. The work was completed on 6 April 1774 and it is one of Mozart’s better known early symphonies along with the Symphony No. 25. Concertmaster: Jelena Ristic, the Serbian violinist. Recorded during The Sunday Morning Concert on Sunday the 17th of September 2017 in Het Concertgebouw, Amsterdam. Published by the AVROTROS Klassiek channel. 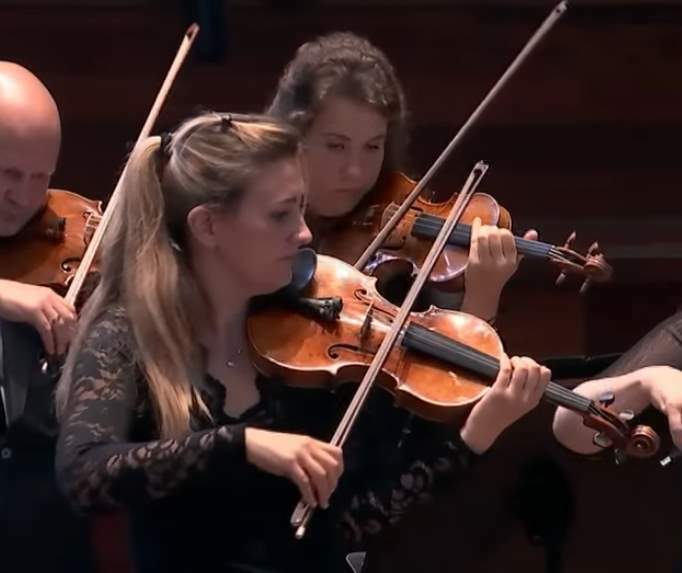 The Concertgebouw Chamber Orchestra perform Mozart’s ‘Symphony No. 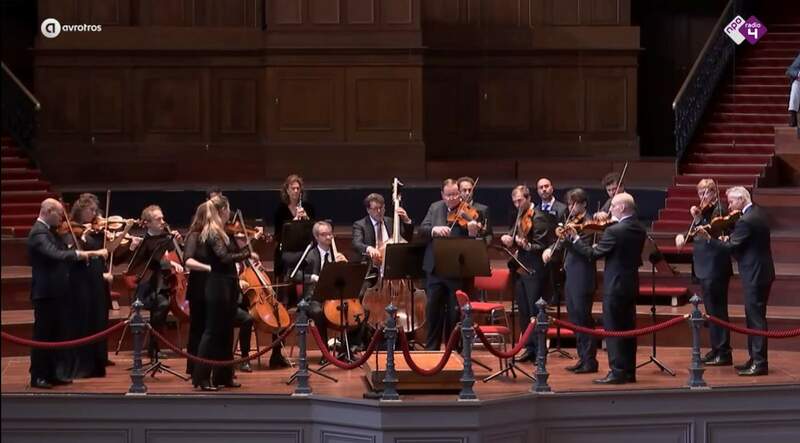 29’ during The Sunday Morning Concert on Sunday the 17th of September 2017 in Het Concertgebouw, Amsterdam. Allegro moderato, 2/2. The first movement is in sonata form, with a graceful principal theme characterized by an octave drop and ambitious horn passages. Andante in D major, 2/4. The second movement is scored for muted strings with limited use of the winds, and is also in sonata form. Menuetto: Allegretto – Trio (Trio in E major), 3/4. The third movement, a minuet, is characterized by nervous dotted rhythms and staccato phrases; the trio provides a more graceful contrast. Allegro con spirito, 6/8. The energetic last movement, another sonata-form movement, connects back to the first movement with its octave drop in the main theme. Serbian violinist Jelena Ristic graduated from the Novi Sad Arts Academy, where she studied with Dejan Mihailović, subsequently studying with Ilya Grubert in Amsterdam. Concertgebouw Kamerorkest performs Wolfgang Amadeus Mozart’s Symphony No. 29 in A major, K. 201/186a.